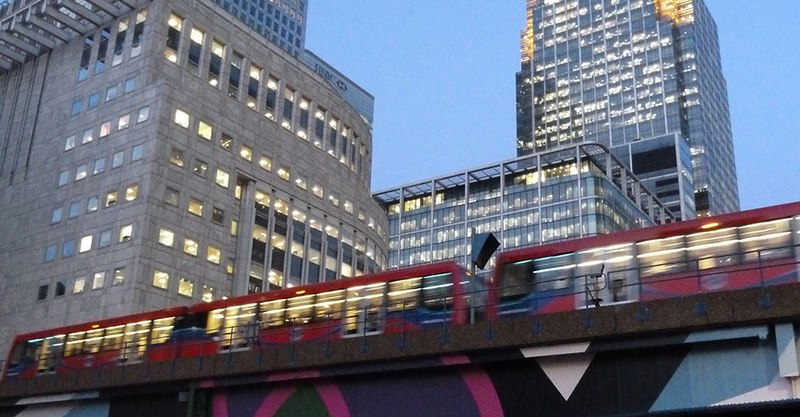 In the late 1980s, to stimulate the regeneration of the area, the London Docklands Development Corporation needed to provide additional public transport. Initially there were eight miles of track and fifteen stations, of which Canary Wharf was one. Now there are seven lines and 45 stations. Interestingly, the first phase utilised some of the existing dock railway infrastructure to link the West India Docks to Tower Hill. Canary Wharf station is one of the bigger stations, nestling within the base of One Canada Square. 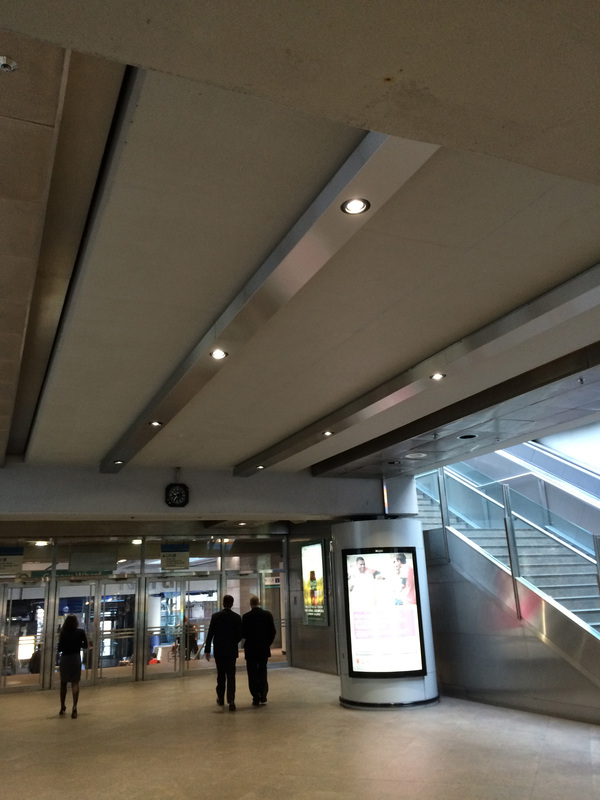 As part of the ongoing up-grade and refurbishment programme of several DLR stations the design team and client developed a brief for Canary Wharf that included particular lighting requirements: increased light level, improved uniformity, luminaire adjustment where feasible. 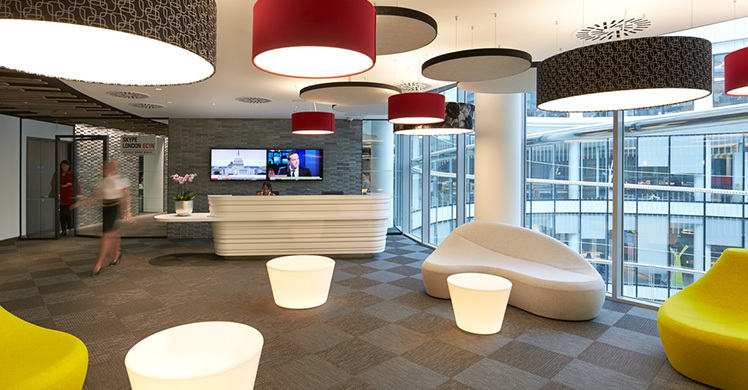 As a result Designed Architectural Lighting was asked to design and supply new and additional light fixtures. 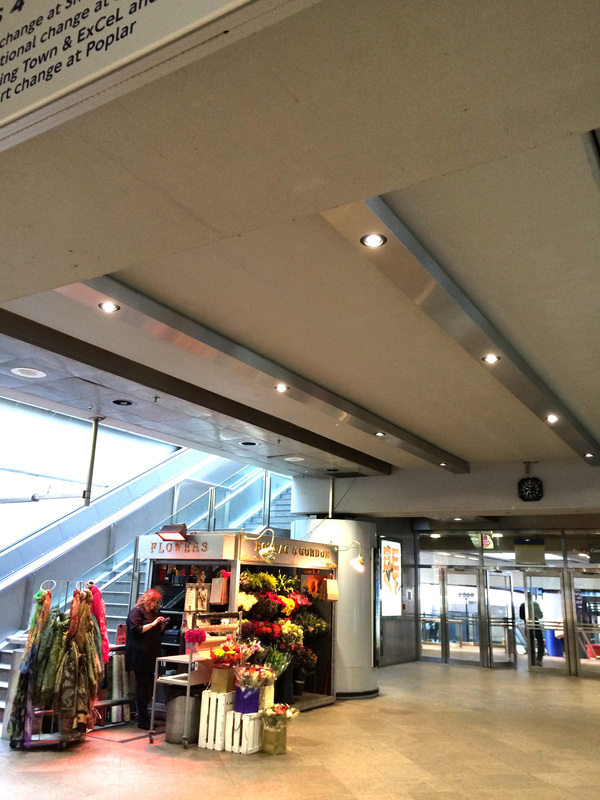 The existing compact fluorescent downlighters were replaced with customised TEMPO X161 2000 lumen, 4000K, Ra80 downlighters with 60 degree beam spread. 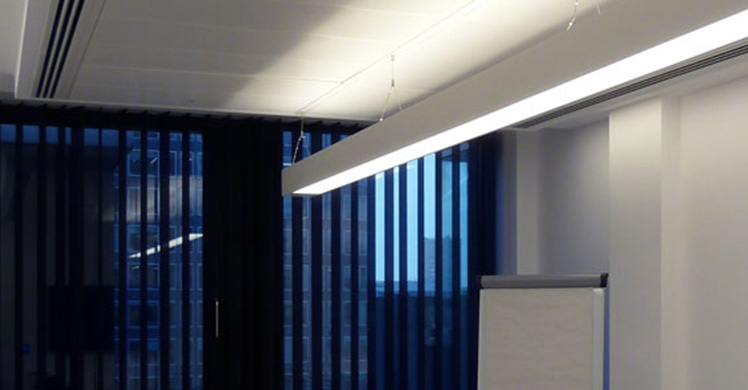 Also, the DAL BORDO 150 linear system was specified for previously unlit areas. The surface mounted BORDO system houses gimbal style downlighters, as well as cabling and services. Now light can be directed onto signage and display areas, adding highlights as well as general illumination. All the luminaires are manufactured in stainless steel and use glass covers to protect against the harsh docklands environment.